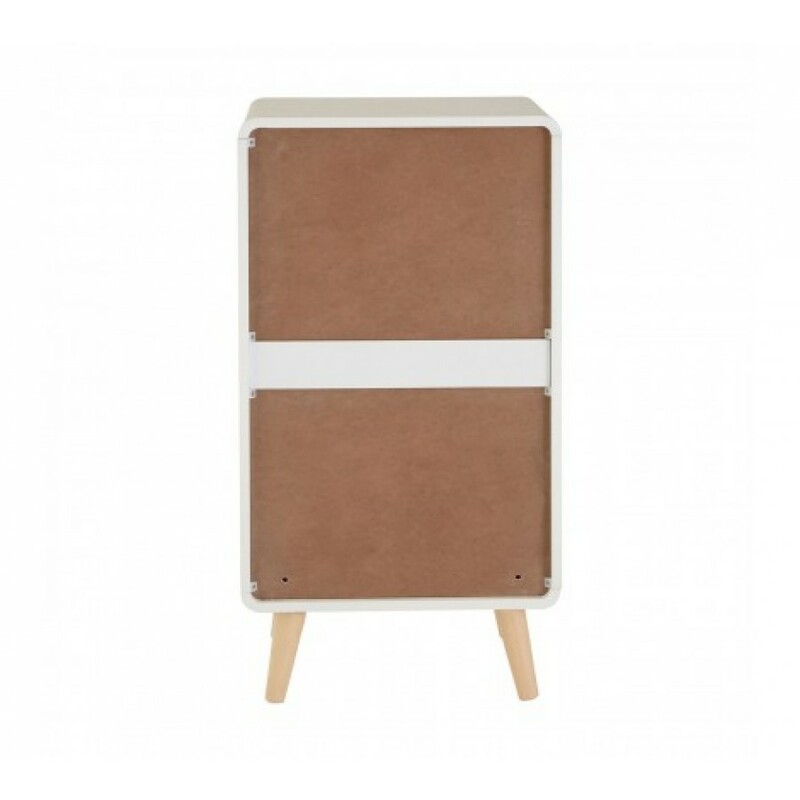 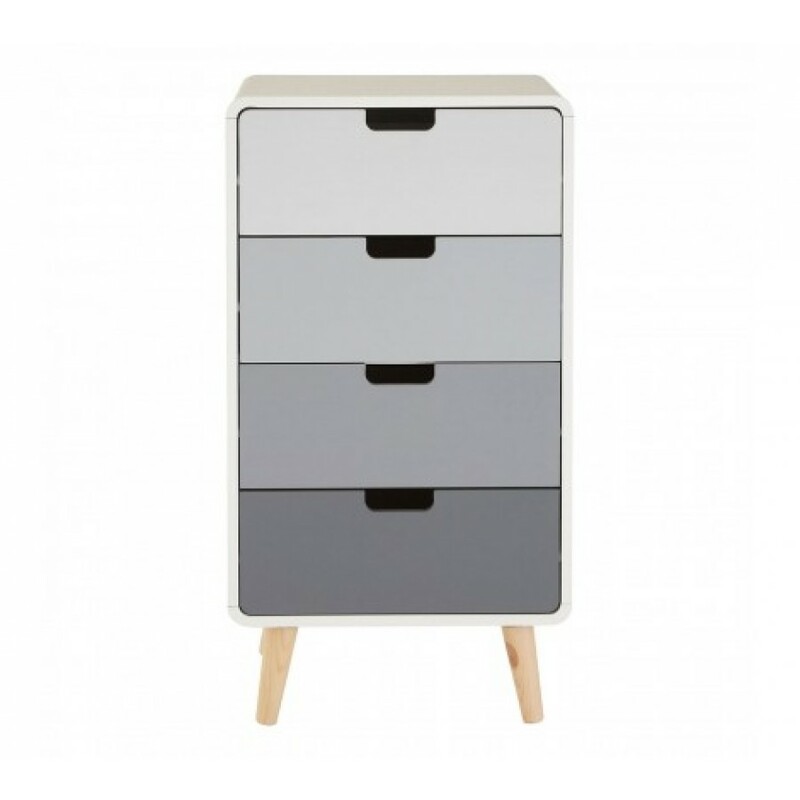 This contemporary cabinet uses grey and white colours to create a piece that expresses Nordic design style. 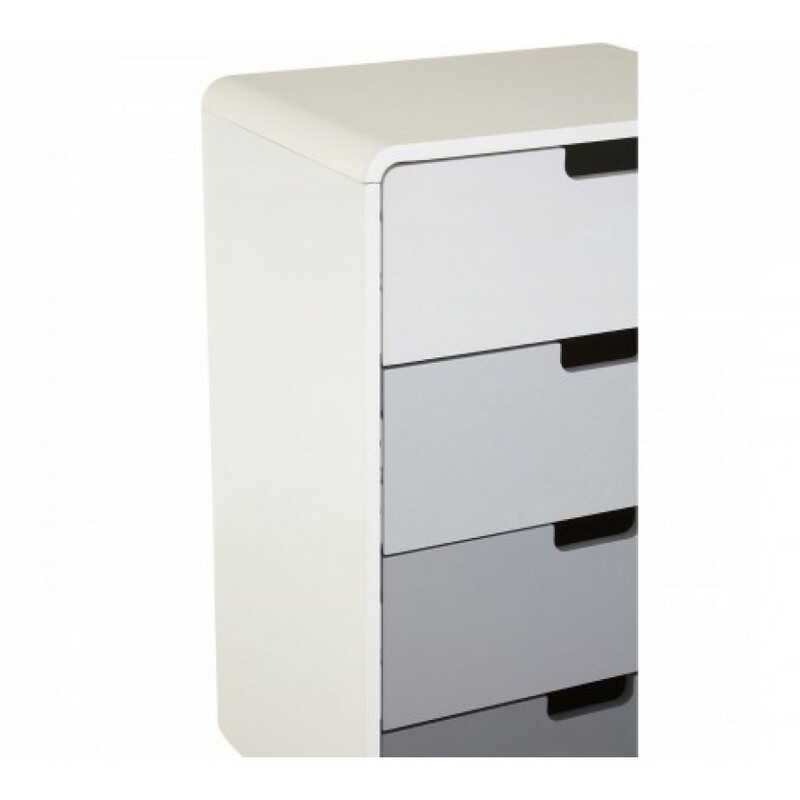 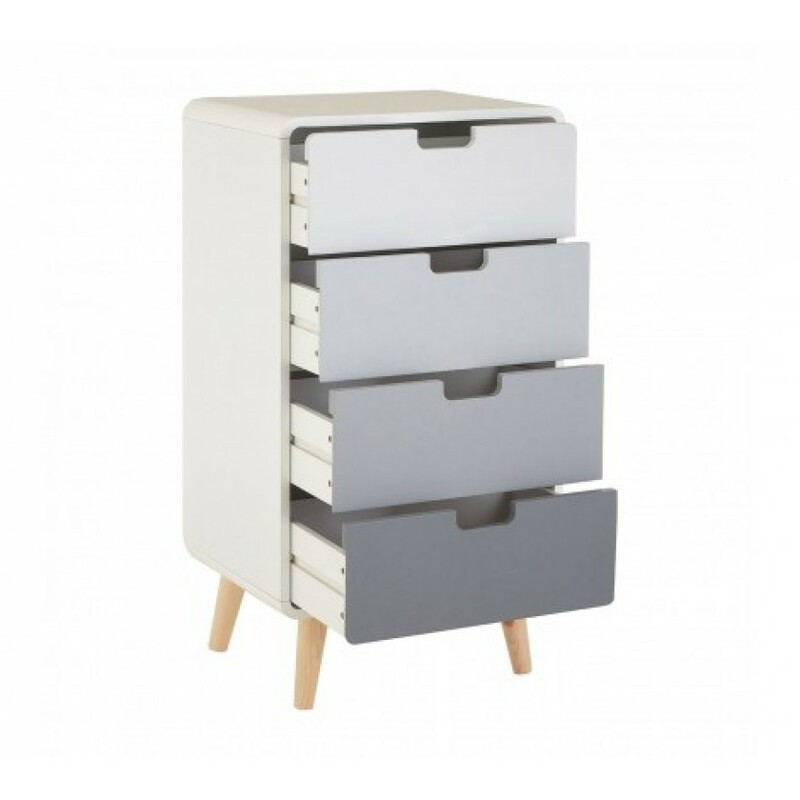 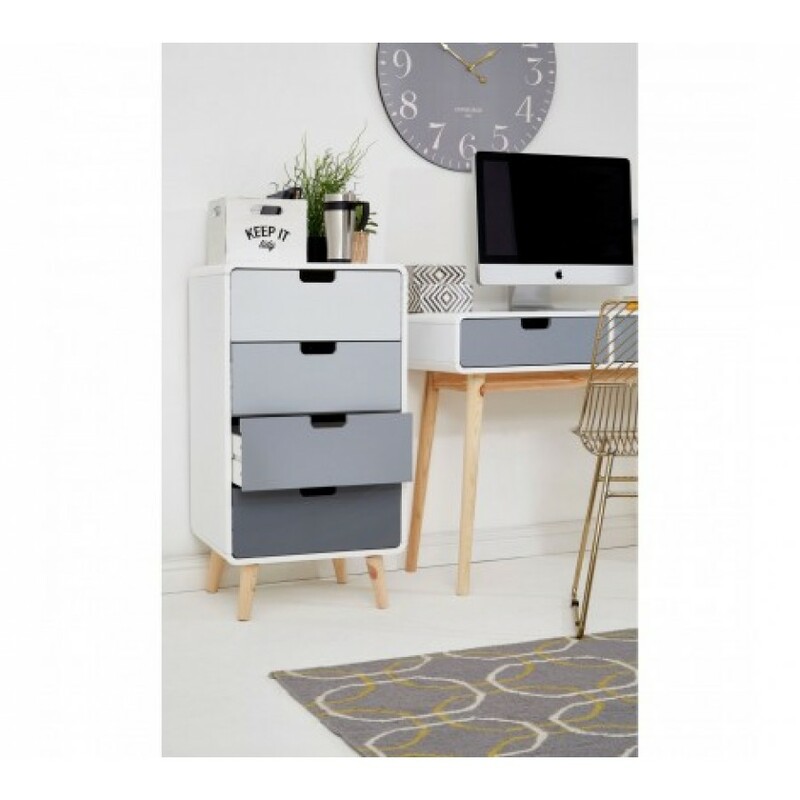 Each of its drawers provides discreet storage space, with cut-out handles at the top for a sleek and smooth finish. 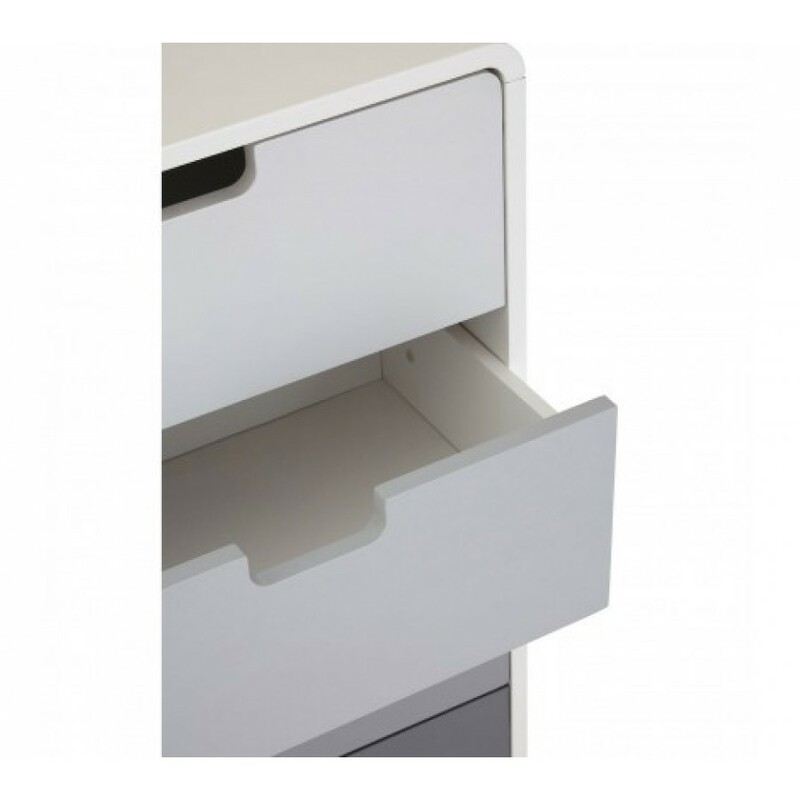 Rounded corners moderate the cabinet's tall, rectangular design. 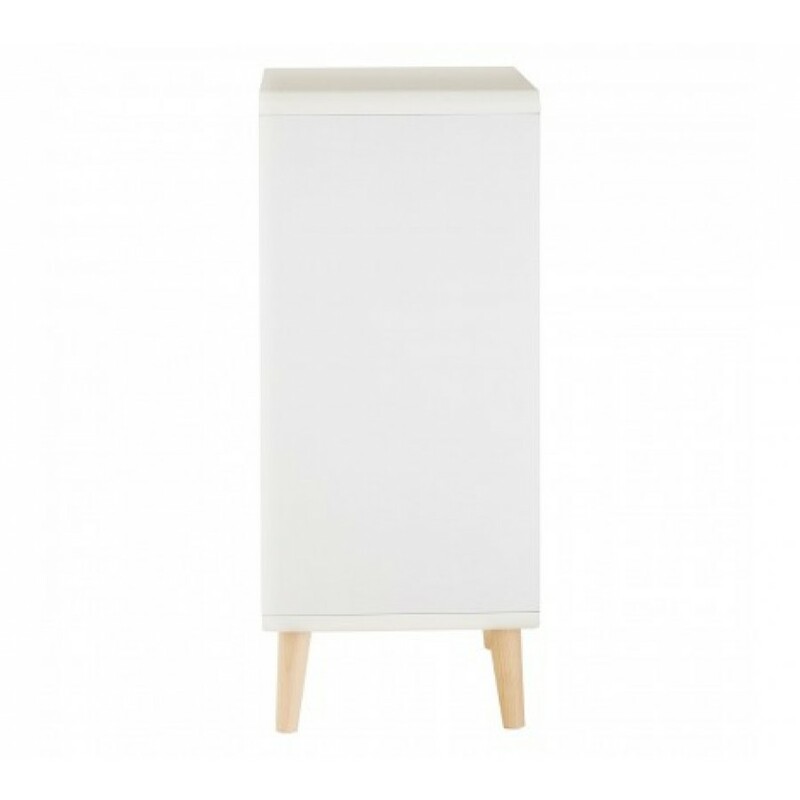 Angled legs made from renewable pine wood complement the white and grey tones.